"I wish I was able to live like many people: to be very unbothered by everything going on in this crazy crazy world." Honestly, it would be such a relief if I could be so nonchalant. I find that many people don't care. Period. Even if the whole world is toppling around them, if it literally does not affect them, then they are good. I don't know how to live like that. I'm devastated when I hear kids have been sexually abused by family members or even complete strangers. I'm utterly disgusted by greedy, inept, corrupt leaders. I don't understand a world filled with hate and vitriol and turmoil. I'm anxious for people who are so poor, they can't fathom where their next meals will come from. Don't even get me started on discrimination, on any basis. I read this beautiful documenting and describing some of the heartfelt, gut-wrenching letters President Obama received from the American people while he was still the president. Goodness, just seeing people pen their emotions, and reading about their struggles got me teary eyed. So no, I don't know how to sit still and ignore everything happening. And it's a lot of burden. To worry about something you have no power over is a lot of burden and sometimes unnecessary responsibility. I can't change the world. Neither can you. Although, together, if we try, we can make an impact. But many people don't think like that. They don't care. Let it all burn down. They literally do not care. I am quite jealous of such people and their seeming insensitivity. I am also sometimes infuriated by their inaction. What would it take to get you to flinch? To say something for ONCE? To feel empathy? To desire change of some sort? But let's face it. They have all the fun. Consider the current political and social climate of the world. Forget the world. Let's talk about the two countries I'm privileged to call home. On the one hand is Nigeria: Over 18 months ago we elected a new leader; blistering with hope and yearning for just an iota of change, we were excited. Optimistic even. Sigh. Yet months later, not only has the economy plummeted, it's showing no signs of recovery. Power is terrible. Unemployment is at an all time high. Inflation is rising beyond imagination. Education is not any better. And the sheer hubris of the current administration is just...I don't know. On the other hand is America. Oh America. This weekend tells all the story I can't begin to type. But that's not the scariest part; it's the divisiveness of this nation. Again like I always say, polarization is not the devil. 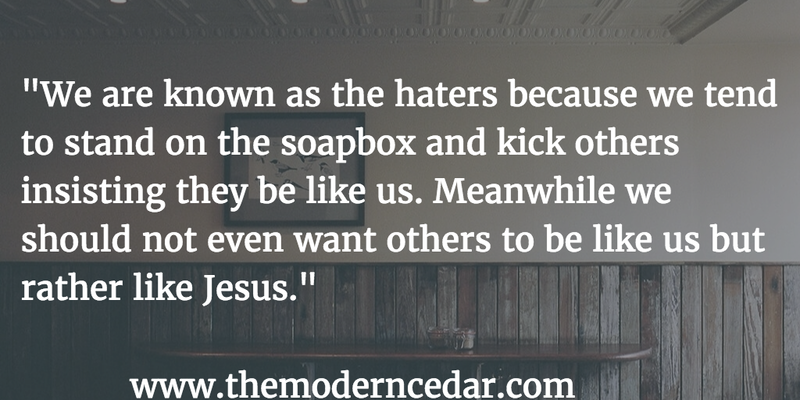 But when people are filled with disdain and hatred for others because they think different. Ha. It's terrible. Bad as all these things are, a question that keeps rising and bugging me is: in all of this, what is the place of the Church as an entity? I understand that as Christians we must never conform to the things of the world. But LORD! The silence of the Church is deafening. I carefully researched every single popular Christian personality/pastor/blogger/preacher/evangelist this past weekend on social media, and not ONE as much as mentioned anything about what's going on. They all went about their regular business of tweeting/posting bible verses, like they don't care that black men are being gunned down for being black; or there is currently a Bill [in Congress]that would give rapists the right to sue their victims (You read that right); or more than 20 million people are not about to lose their health insurance. People who are normally so vocal about every thing: relationships; soul mates; fornication; adultery; prosperity are conspicuously silent. I am passionate about my personal relationship with Jesus, so it's hard for the Church as a whole or any specific Church to betray me personally. But I fear the Church has let many people down recently. Because if I did not know Jesus personally, I too would think—with the representation of him by many Christians—that he does not care about the oppressed and the poor. I would think he doesn't care about how hurt I am. And I understand many pastors and Christian personalities tread carefully and do not want to take political sides—which is perfectly understandable—but there is politics, and there is RIGHT and WRONG. I was so freaking excited to read Pastor Piper's article. I always had a great deal of respect for him, but seeing this just multiplied that respect. IT WAS HIGH TIME a person of God stood up against injustice; outrightly condemning something. Well then, if no one will do it, I will. Jesus cares. He rules in the affairs of men. He sits on his throne of righteousness and continually "sets the world's mess right" Psalm 9:7-10 (MSG). He rules the world with fairness and justice. He NEVER abandons those who search for him. He comforts those who mourn and is a safe haven for those who are hurting. Oh, and my favorite; he commanded us to speak up for those who cannot speak for themselves; ensure justice for those being crushed. Yes, speak up for the poor and helpless, and see that they get justice (Proverbs 31:8-9). If you feel helpless like many of us do, it's okay. Just remember that at the end of the day, you can choose hate or you can choose love.